During the enhanced oil recovery (EOR) process on the ocean platform, light and heavy crude oil need to be washed to remove salt before the oil is sent to shore. In addition to treating your produced water for washing crude oil, SAMCO has developed an innovation seawater desalting solution that is performed directly on the platform: we filter the ocean water with our proprietary filtration process, then use membranes to separate sulfates from the water followed by our patent-pending, two-step oxygen removal process. This results in treated seawater that is pure enough to be used for washing and desalting the oil prior to sending onshore. Light crude has very little salt and solids in it, therefore it can be washed directly with treated seawater or high-solids water that doesn’t have to be as pure as in the washing of heavy crude. 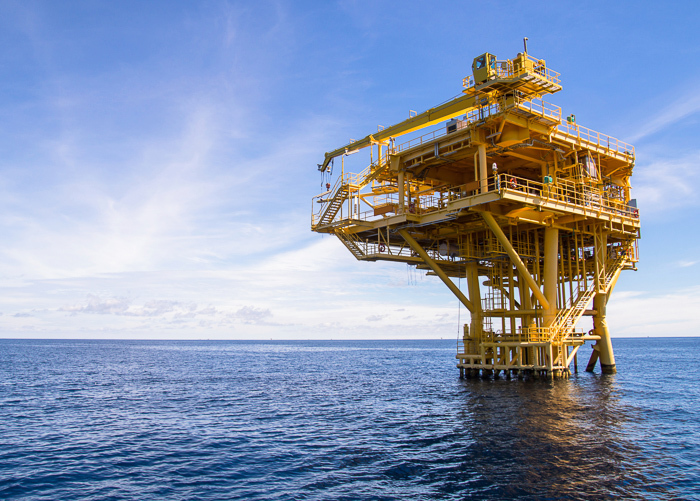 In order to effectively wash the light crude, we filter the seawater to remove suspended solids with SAMCO’s innovative tube filtration system, remove the sulfates, and then use our two-step process for oxygen removal. The system can be enhanced by adding a polishing membrane at the end of the treatment cycle. This results in a higher total dissolve solids (TDS) removal for low-solids water that can be used for more aggressive washing of the heavy crude, if required. Contact us today to speak with an engineer about whether or not our innovative desalting water preparation might be the right solution for you.